Outside of entries in this blog and the occasional tweet I try to avoid at all costs using that most untrustworthy of all signifiers: the prefatory word and isolated alphabetical fragment, ‘I’. There are, however, certain circumstances when its use is unavoidable if you still wish to write something that is both coherent and easily readable: travel writing, medical experiences and moments of revelation and change all come to mind. Each is a form of confession. You can shift them into the third person, I suppose, but that would seem to indicate that you have failed to adapt sufficiently to the circumstances. Furthermore it avoids a more important question: how can the untrustworthy signifier suddenly guarantee the ‘truth’ of a confession? I tried to think of a genuine moment of profound surprise and disruption, after which it was impossible to listen to music in the same way again. ‘Can I write about hearing “Quiet Village” by Martin Denny for this time?’ I asked. ‘Oh go on then,’ Rob replied. You can find out what happened in the Epiphanies anthology. It is an account I have tried to make as truthful as possible – which is not as easy as it might sound. Alternatively you can come along to the Apiary Studios in the Hackney Road on the evening on Thursday April 30 to hear me read my contribution along with Nina Power, Ed Baxter and Edwin Pouncey, who will be reading theirs. 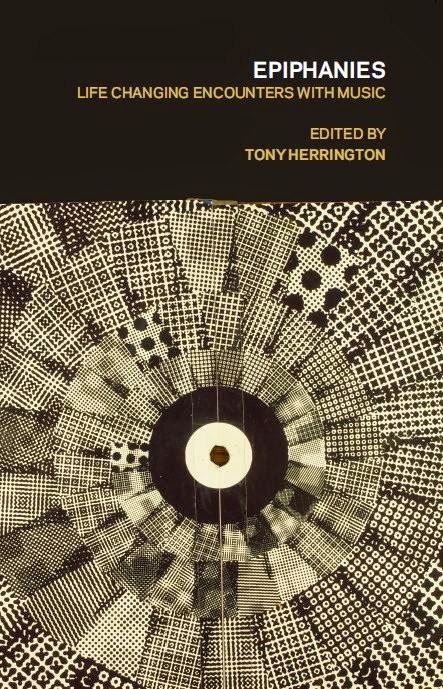 The anthology is an amazingly diverse collection, featuring experiences from Kenneth Goldsmith, Lydia Lunch, David Grubbs, Adrian Shauhnessy, Genesis Breyer P-orridge, Erik Davis, Brian Dillon and Sukhdev Sandhu – and therefore worthy of your time. In the meantime I seem to have been indirectly responsible for Martin Denny’s exotic arrangement of Les Baxter's ‘Quiet Village’ being played on BBC Radio 3 as a result of the Epiphanies volume being featured on the Thursday April 23 edition of Late Junction. Whether this if for the first time or not, I am of course very proud.The next post on this blog will be about Noon, Mistress C and me. More soon.